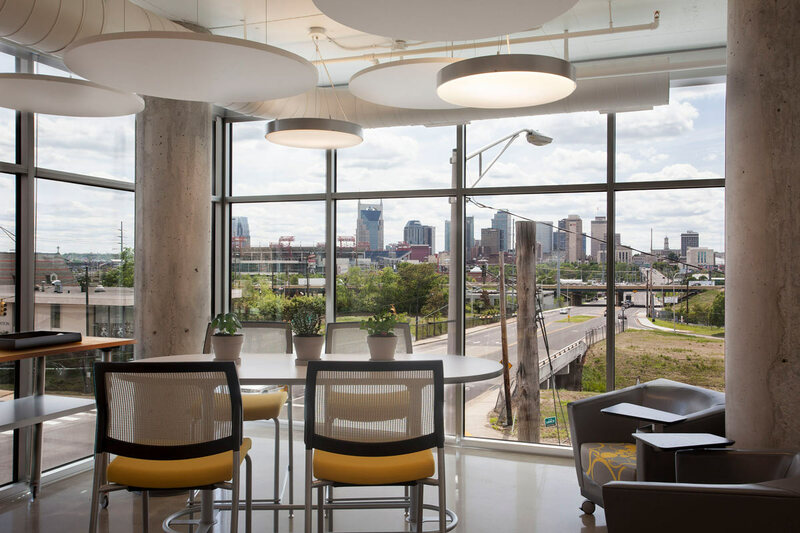 Southeast Venture provided Interior Design services to the Bradford Group on their move from downtown to East Nashville. 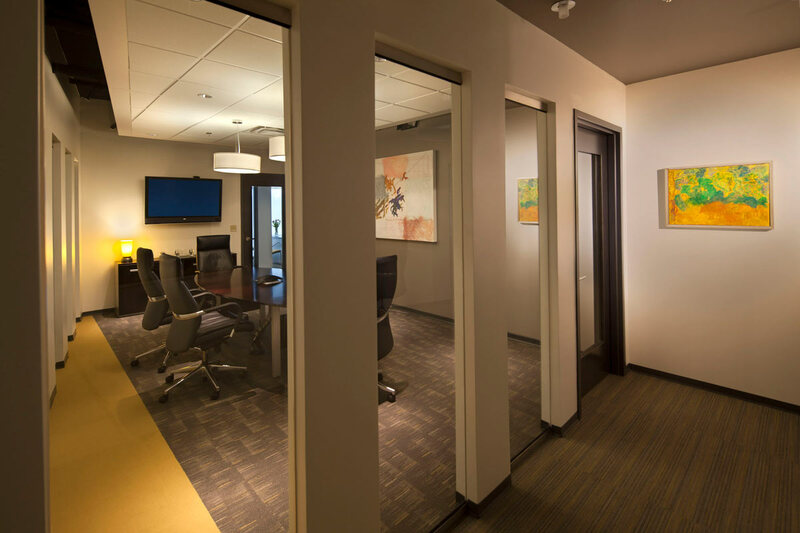 The move provided an opportunity for this public relations firm to create a workspace that reflects their corporate image and supports their company culture. 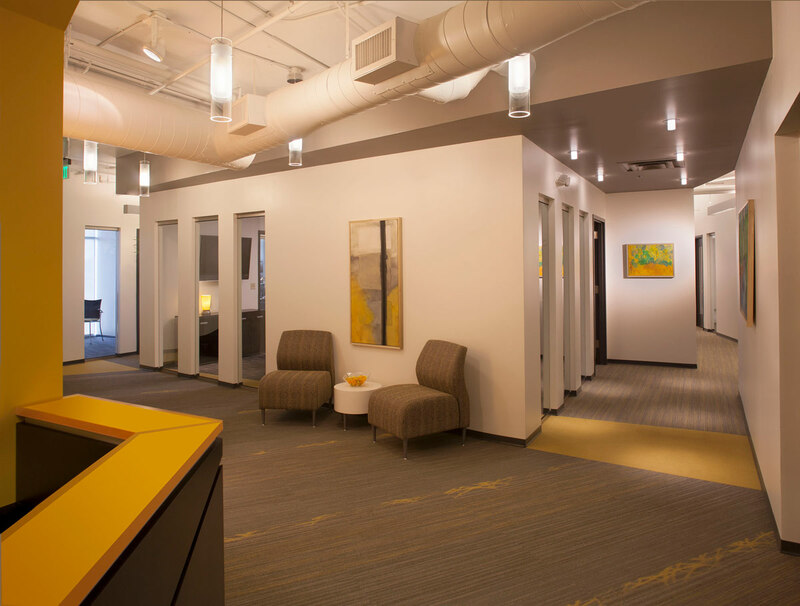 Bucking the trend of open offices, this client wisely realized that small private offices were critical for their individual focused work. 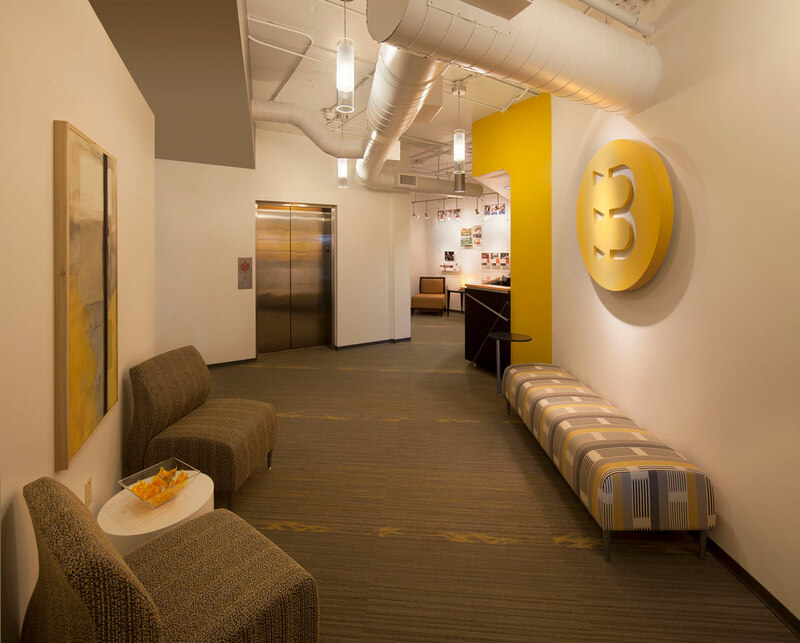 The angled geometry exposed concrete ceilings and columns provide a complementary backdrop to the warm white and grey palette accented by the firm’s strong branding yellow. 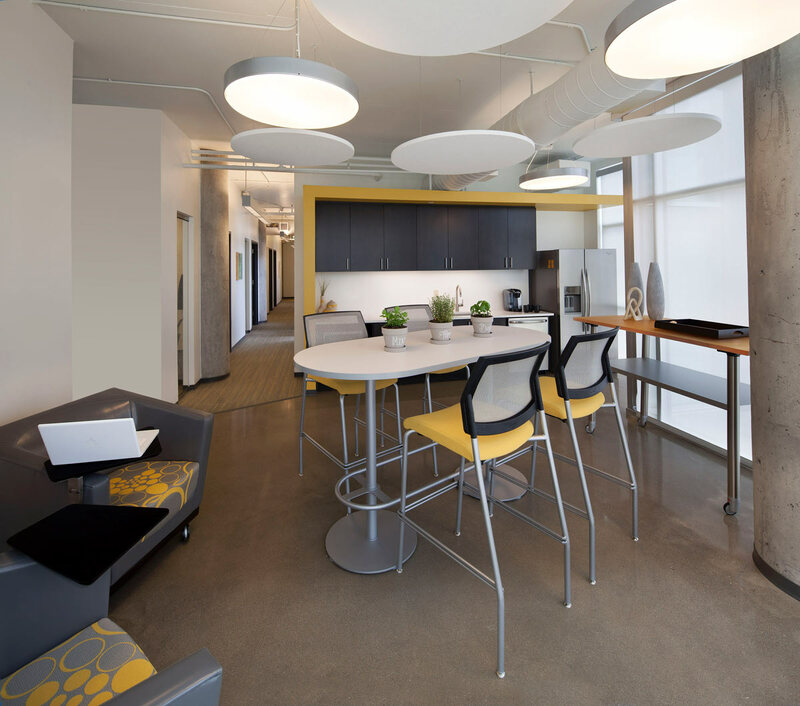 Our team of talented designers will work seamlessly to create the perfect space for your new property.